We at CamFlor, Inc. are always doing our best to improve for the benefit of the customers. One way of doing this is by partnering up with associations that are as determined as we are to give you the best quality service. We have partnered with the following associations with that goal in mind. These partnerships will continue to grow as we grow as a company. The California Association of Flower Growers & Shippers (CalFlowers, formerly known as NORCAL) was founded in 1941 by a small group of flower shipping companies to foster the success of the California floral industry within the United States. Today CalFlowers is the leading floral trade association in California serving growers and the entire supply chain in the state and in 45 states across the nation. 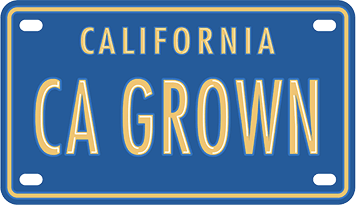 The California Cut Flower Commission (CCFC) is a state agency responsible for representing more than 225 cut flower and greens farmers in the Golden State. CCFC is dedicated to making sure flower lovers have access to the freshest, highest quality flowers possible. After all, California is America’s leading producer of high-quality cut flowers and greens – supplying over 75 percent of all domestically grown cut flowers in the United States. California Grown is about connecting the people with farmers. Farmers have a lot of stories to tell and want to welcome you into their fields so you can really understand where the product comes from – and how important you are to the process. You may not think of farmers every time you’re in the grocery store, but they think about you an awful lot. That is why California Grown was created: to emphasize the strong ties to the land and to the neighbors; to take pride in our homegrown products and our work; and to support our economy and our Californian way of life. The California State Floral Association has served the flower industry for almost seven decades, acting as a voice for florists, growers, wholesalers and retailers through governmental and industry relations. From mom and pop flower shops to growers, wholesalers and floral teachers and students, CSFA has helped its members navigate an ever-changing marketplace by uniting all segments of the industry. WF&FSA is an organization that is uniquely positioned to meet the needs of floral distribution today. They understand the logistical, operational and marketing challenges that both wholesalers and suppliers face in a changing market. They tackle the big issues – increasing profitability, improving logistics and reducing operational costs – as well as the every day ones, like helping you find new sources, new customers and new ways to sell.